Check out our new GTX-L 2016 models! 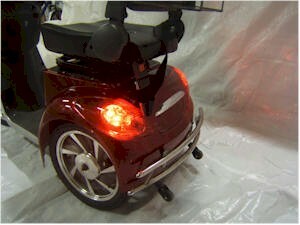 I had this scooter up to 25 MPH on the street outside my home. It has more power and speed than I thought when purchasing it. Fit and finish was great right out of the shipping crate. The crate was well constructed so no damage occurred in transit. 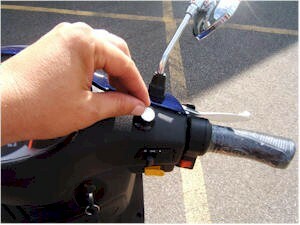 The lights and turn signals are such that I feel safe riding down the side of the street. 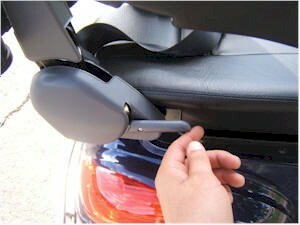 The storage rack and trunk space was another pleasant surprise. Lots of room for small shopping excursions. 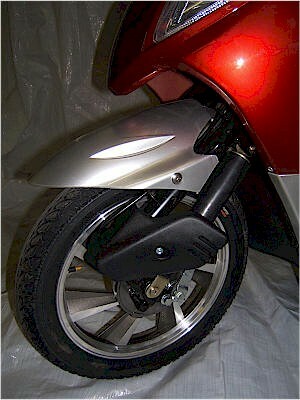 The scooter is a real eye pleaser and I get remarks along that line from strangers all of the time. 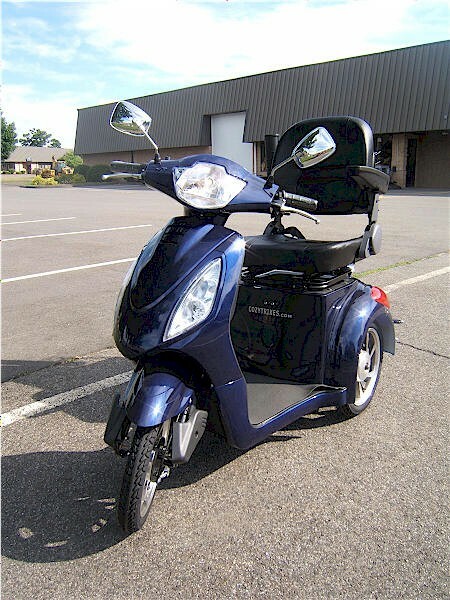 For under two grand, this is one great scooter. 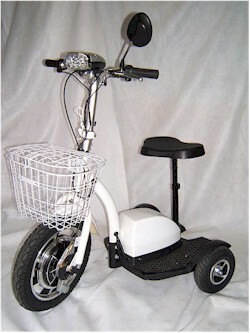 My daughter surprised me with this scooter, its great ! 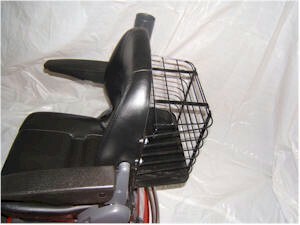 I ride it every day, the storage basket is just the right size. 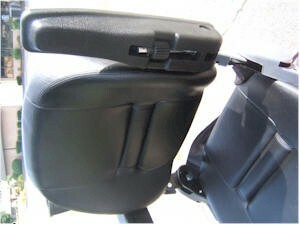 The seat is fully adjustable and I am very comfortable sitting for long periods of time. 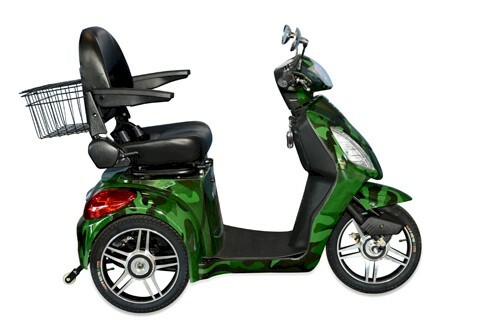 If you purchase this scooter you will be very happy. 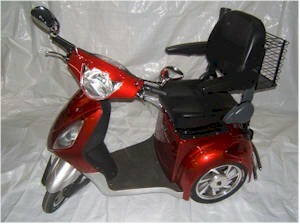 It also is shipped fully assembled and ready to ride!!! 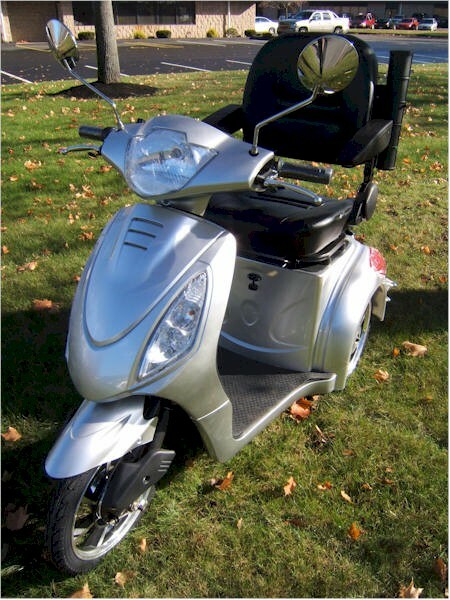 "This scooter has helped a disabled person tremendously and should be put into more markets - easy to learn ad handle"
"Excellent product, lots of power, easy to service, fast charging. My wife is delighted. We are using it in our farm without any problems." 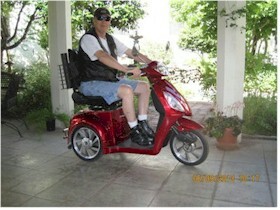 I bought this scooter as a retirement present to myself after extensive online research, and so far I am very happy with it. 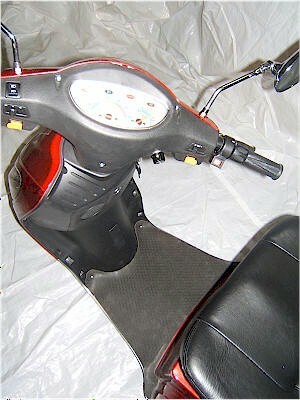 It certainly does elicit many favorable comments and it's a lot of fun to ride. 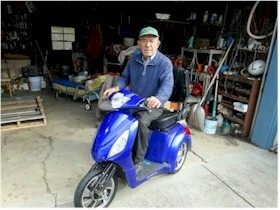 The cost is very competitive - it looks like a more expensive scooter. 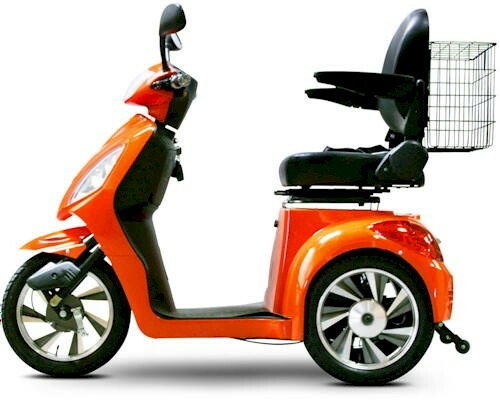 It's a mobility scooter with the "wow" factor! 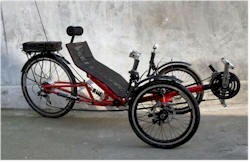 Very solid and substantial to ride, but not that difficult to maneuver when pushing it, such as positioning it in the garage. So far I can't think of anything I'd change about it. I love it! You want more than 3 words? It's fast and fun. 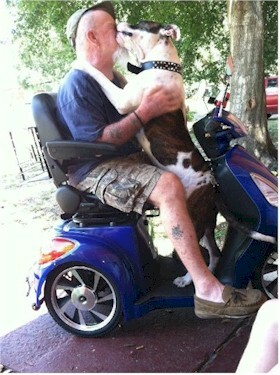 I have limited mobility and have been unable to walk my dogs, but with this scooter, I can RUN them! 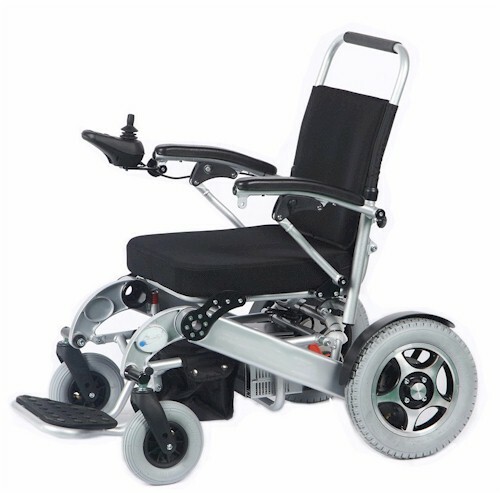 And I look sporty doing it, not like a slow mobility scooter or power wheelchair. 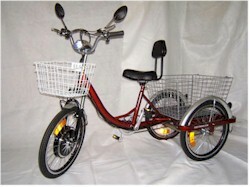 There was a small learning curve until I got used to the surge of power and the turning radius, but entirely learnable. I have no complaints at all! This was some of the best spent money ever. 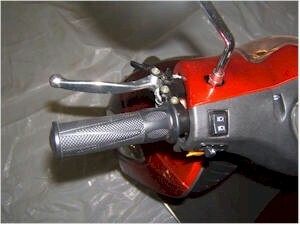 The scooter was packed well, all the parts were there, and it was in good shape when it arrived. 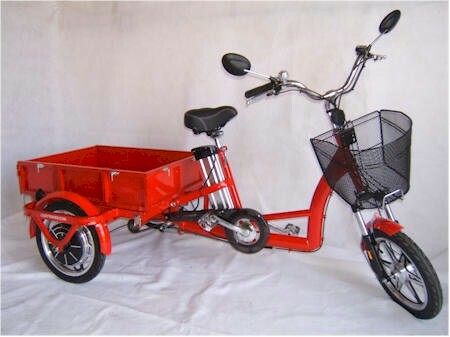 The fastest and most comfortable three-wheel electric mobility scooter on the market today. 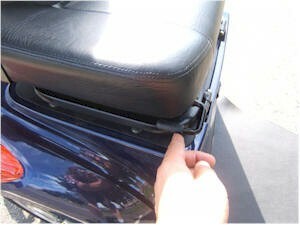 4/ Also included; a reverse gear, armrest and stylish cargo rack. 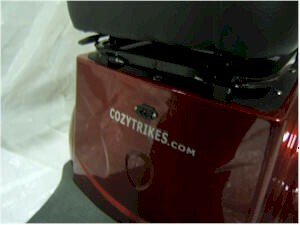 Order Yours Now for Only $1,749.00 and receive Free Shipping Today and a full Three Year Warranty! Don't have money but want to reserve our low price and the free shipping? These are the palletized sizes! 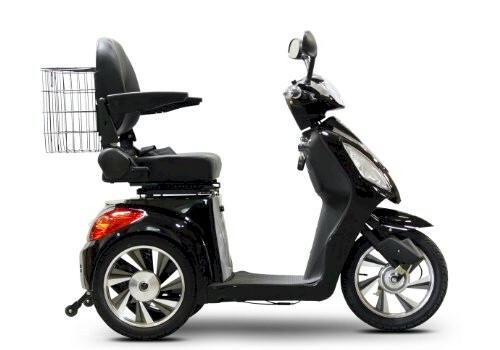 The scooter fits through all doors and fits on standard size ramps and trailers as long as your lift or trailer has a minimum size of 46" in length and 24" in width ! 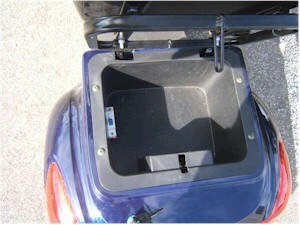 Hills are always a big power drain for any electric vehicle. 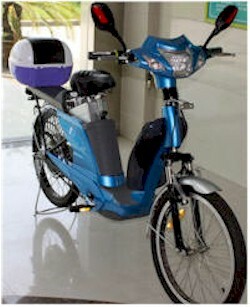 The average distance is 45 miles per charge. 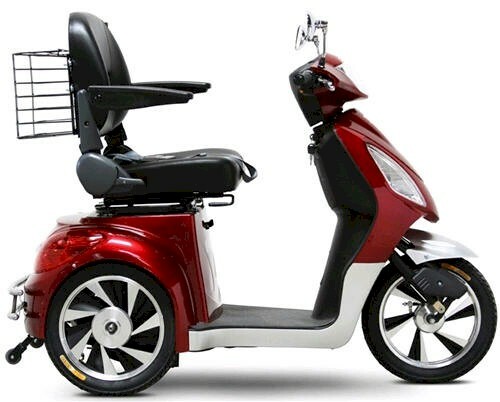 I purchased my scooter because this is the only scooter on the market designed for both On and Off road!Shipped assembled! No license or registration required. 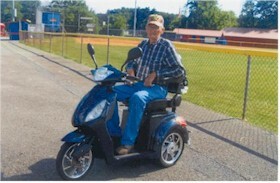 This mobility scooter is a 3 wheel high-power mobility scooter using a transaxle brushless electric motor for best performance. 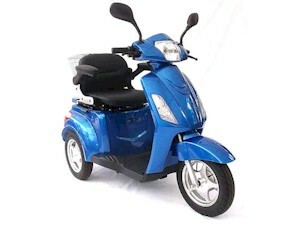 At full power it can get up to 20 mph which makes it easily the fastest mobility scooter available.